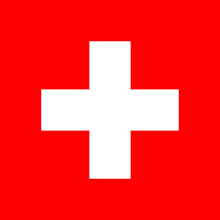 Switzerland competed at the 2008 Summer Olympics in Beijing, People's Republic of China. This is a list of all of the Swiss athletes who have qualified for the Olympics and have been nominated by Swiss Olympic Association. * The athlete who finished in second place, Lyudmila Blonska of the Ukraine, tested positive for a banned substance. Both the A and the B tests were positive, therefore Blonska was stripped of her silver medal, and Züblin moved up a position. The athlete who finished in second place, Davide Rebellin (Italy), tested positive for a banned substance. Both the A and the B tests were positive, therefore Rebellin was stripped of his silver medal, and Cancellara was upgraded to silver. * Switzerland was upgraded to bronze medal in the team jumping competition after Camiro, the horse of Norway's bronze medal winner Tony André Hansen, tested positive for use of capsaicin and was disqualified. Marks and ranks from vault qualification differ as two vaults were used to determine event finalists while only the first of those counts toward the All-around total. Ariella Käslin qualified for the All-around final of the top 24 gymnasts because the number of finalists from the same nation is limited to two. Thus, five gymnasts ranked ahead of her were ineligible for the final. ^ Young, Chris (2009-11-19). "Young: Olympians lose medals after retroactive doping test". Toronto Star. Retrieved 2009-11-19. ^ Bronze medal reassigned after the disqualification of Tony André Hansen of Norway. The Canadian Press (2008-12-22). "Norwegian rider stripped of Olympic medal". The Sports Network. Retrieved 2008-12-22. This page was last edited on 28 March 2018, at 15:57 (UTC).